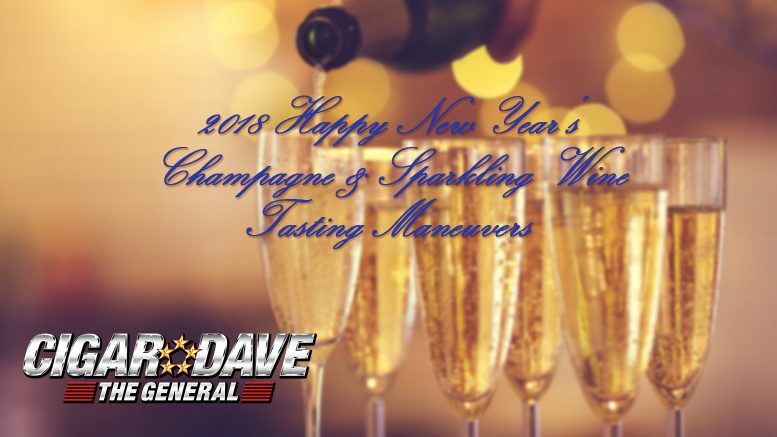 Cigar Dave will conduct 2018 Happy New Year Champagne & Sparkling Wine Tasting Maneuvers on Saturday, December 23rd and Saturday December 30th. The General will be joined by Sommelier Dave, the Princess, Honey Bear, and a surprise guest for football fans. You can download the complete wine list now so you can sample along with us. Need help picking your own champagne, download our primer here.